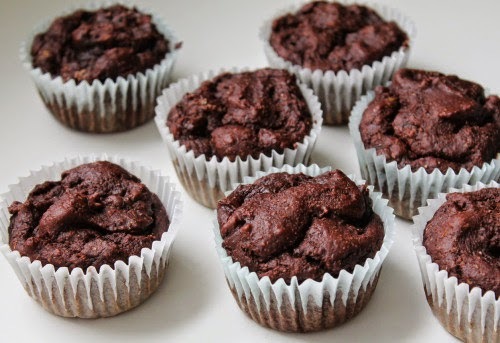 A rich chocolate muffin made oil-free. The mashed avocado keeps these muffins nice and moist and adds some healthy fats. Plus, it is just so fun to get your kids to eat them! Preheat the oven to 350°F and line a muffin pan with 12 paper baking cups. Mash the avocado in a medium mixing bowl, until smooth. Whisk in the maple syrup, cocoa powder, milk, applesauce and vanilla. Add the chocolate chips. In a separate small mixing bowl, combine the flour, baking powder and sea salt. Add the flour mixture to the medium mixing bowl with the rest of the ingredients and mix until just combined. 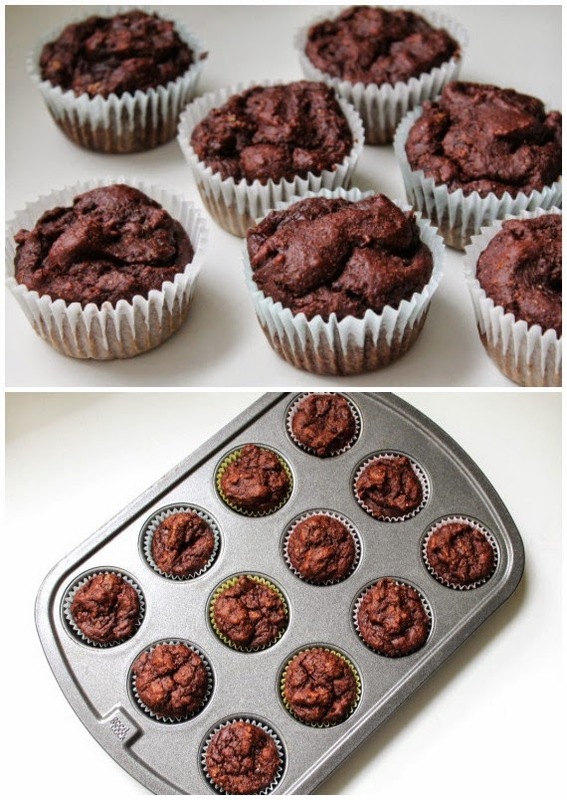 Spoon the muffin batter into the paper baking cups, filling them each 3/4 of the way full. Bake for 18-20 minutes. Muffins are ready when a toothpick inserted comes out clean.